Cider-making is currently undergoing a revival in the United States. Production and consumption of cider is increasing rapidly, and the global cider market is projected to reach $16,252 million by 2023. Cider (sometimes called hard cider) is a fermented beverage made from apple juice. A wide range of apple cultivars, or cultivated varieties of domesticated apples (Malus x domestica), are used in cider production. The cider apple variety “Foxwhelp.” Knight, Thomas Andrew. Pomona Herefordiensis. 1811. Digitized by Cornell University Library. https://biodiversitylibrary.org/page/55941638. One of the oldest surviving cider apple varieties is the “Foxwhelp”, which originated in England several centuries ago. The earliest recorded reference to the cultivar comes from John Evelyn’s Pomona from 1664. Though still used for cider making, an aura of mystery surrounds this cultivar, because many apples labeled as “Foxwhelp” today are not true to type. In fact, many cider producers refer to the variety available in the United States under this name as “Fauxwhelp”. 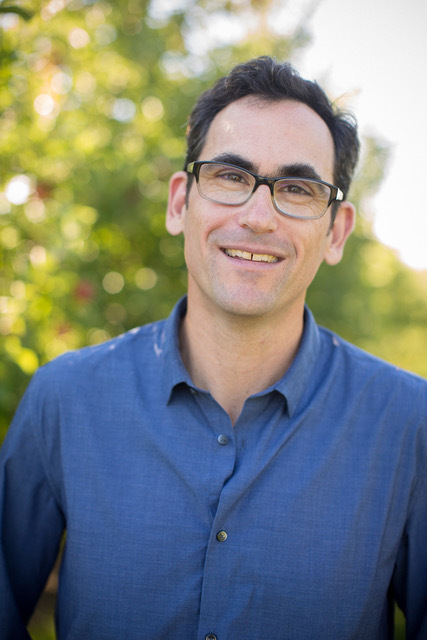 Dr. Gregory Peck, an Assistant Professor in the Horticulture Section of the School of Integrative Plant Science at Cornell University, has been assessing a large number of apple genotypes for their potential use in hard cider production. 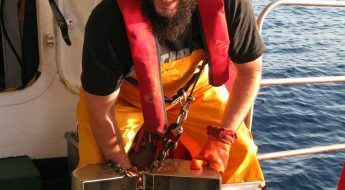 Through this work, he has discovered inconsistencies between many U.S. varieties and their original counterparts, including “Foxwhelp”. Not only has he imported two “Foxwhelp” strains into the United States so that growers can have the true genotype, but he also recently teamed up with Dr. Gayle Volk at the United States Department of Agriculture to uncover the truth behind “Fauxwhelp” and other enigmatic cultivars. Dr. Gregory Peck. Assistant Professor in the Horticulture Section of the School of Integrative Plant Science at Cornell University. Photo Credit: Lindsay France, Cornell University. Gregory Peck (left) checks on research plots with graduate students Nathan Wojtyna (center) and Adam Karl (Right). Photo credit: Dave Burbank, Cornell University. Peck first discovered BHL thanks to the “fantastic librarians” at Cornell’s Mann Library, who directed him to the site for access to several historic pomology books. Since then, he visits the library every few months, viewing books online and downloading PDFs of useful titles. It has become a valuable and much-appreciated resource for Peck’s research. 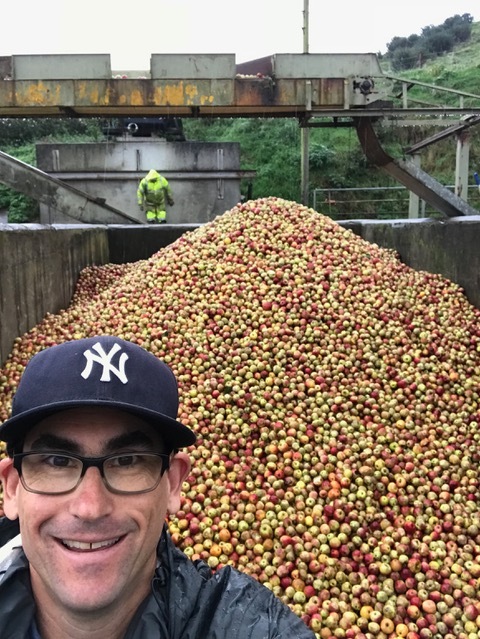 Cider apple harvest in Somerset, UK. Photo credit: Gregory Peck, Cornell University. Dr. Peck will be sharing more about his work as the featured speaker at the 2018 Cornell Reunion, where he will present on “The Modern Emergence of a Historic Drink”. His presentation will be live-streamed on 8 June 2018 starting at 10am ET via the Mann Library Facebook page. You can view a recording of the talk on YouTube. 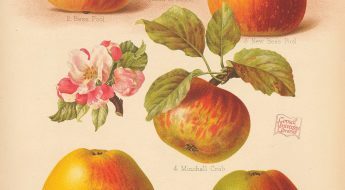 In conjunction with the Reunion and in collaboration with Peck, Cornell University Library has developed an exhibit on cider-making entitled Apples to Cider: An Old Industry Takes Fresh Root. Located in Cornell’s Mann Library lobby, this free exhibit is open to the public and will be on display through October 2018. To complement the exhibit, Cornell Library has created a new “Pomology: Apples and Cider” collection in BHL, featuring books on a variety of cider and apple-related topics, many of which were recently digitized by Cornell and are featured in the exhibit. The illustrations from some of the most visually-stunning of these books are available for your browsing enjoyment on Flickr. All this week, Cornell University Library is highlighting the Reunion, Dr. Peck’s work, and the exhibit on social media with #CornellCider. 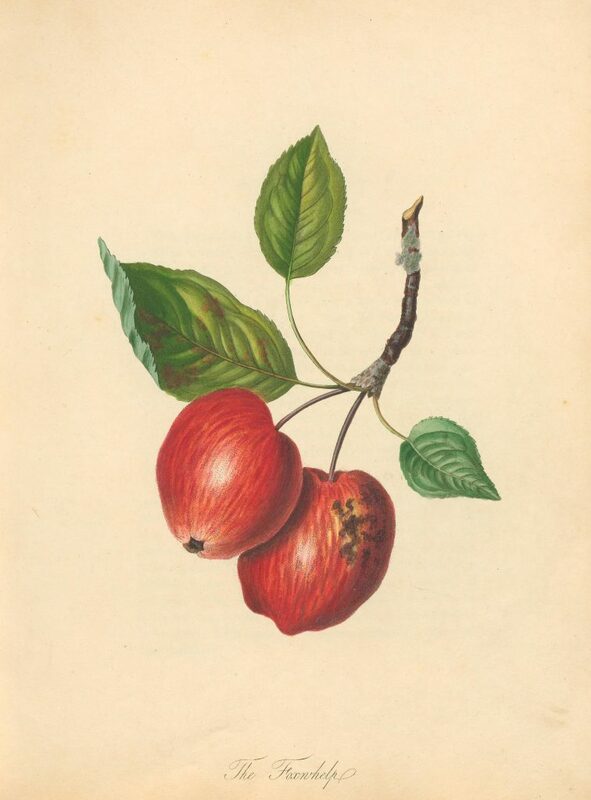 We’re joining the celebrations by sharing some of our favorite books from the “Pomology: Apples and Cider” collection through the @BioDivLibrary feeds. On Thursday, 7 June 2018, we’ll take a deeper look at one of the titles in the Pomology collection, The Herefordshire Pomona, in a special edition of our book of the month blog series. The “Cowarne Red” apple. Knight, Thomas Andrew. Pomona Herefordiensis. 1811. Digitized by Cornell University Library. 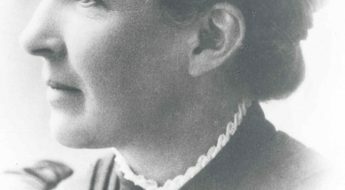 https://biodiversitylibrary.org/page/55941787. Don’t miss out on all the cider fun this week! 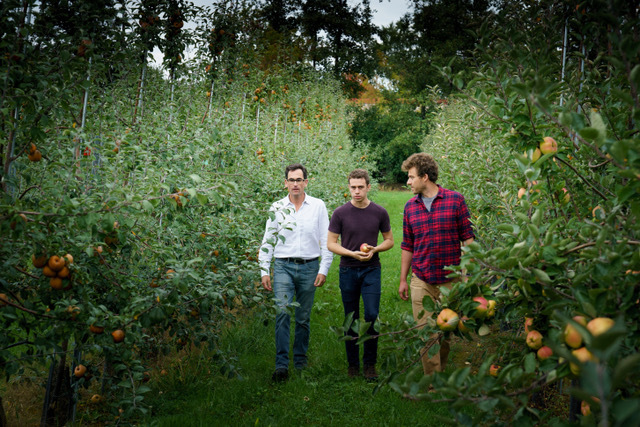 Follow #CornellCider for a sweet dose of apple delight, and be sure to tune into the livestream of Dr. Peck’s keynote speech on Friday, 8 June at 10am ET to learn more about his work and the wonderful world of cider-making. Allied Market Research. 2018. “Global Cider Market Expected to Reach $16,252 Million by 2023 – Allied Market Research.” PR Newswire, January 24. Accessed on April 26, 2018. https://www.prnewswire.com/news-releases/global-cider-market-expected-to-reach-16252-million-by-2023—allied-market-research-670847853.html. Wilson, Mel. 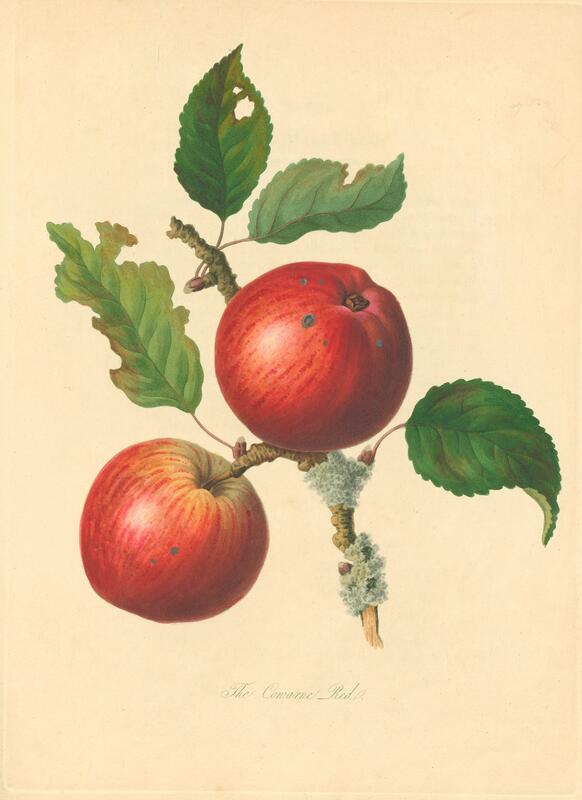 “English Apples: Foxwhelps.” Sutton Elms. Accessed May 2, 2018. http://www.suttonelms.org.uk/apple81.html.